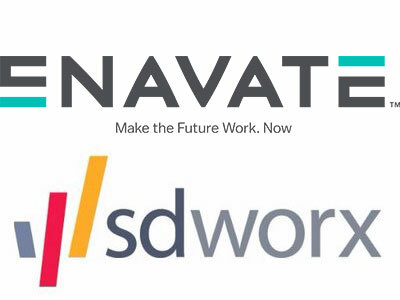 Denver, Colo., April 4, 2019 – ENAVATE, a leading Microsoft Dynamics 365 provider, has announced that they have extended their contract with SD Worx, the leading European player in Payroll and HR. The two-year agreement builds upon the success of the ongoing collaboration between ENAVATE and SD Worx. The relationship began in 2016, when payroll and human relations solutions provider SD Worx realized it needed to upgrade the software solution it was using then. Working with SD Worx in multiple locations, the ENAVATE team developed a payroll solution built in Microsoft Dynamics 365 to accommodate the specific payroll needs of the customers of SD Worx. ENAVATE partnered closely with SD Worx to successfully roll out the solution to their customers. “We are excited to continue this relationship with SD Worx and to continue to partner with them as they implement their solutions for existing and new customers,” said Thomas Ajspur, CEO of ENAVATE Holdings LLC. Belgium-based SD Worx is an important Microsoft Dynamics 365 customer, with locations in 10 countries and more than 4,150 employees. For almost 75 years, SD Worx has been a leader in providing human resources and payroll services and software. It currently serves more than 65,000 small and large organizations, calculating the salaries of some 4.5 million employees each month. For more information, please contact Patric Timmermans, Marketing Director, ENAVATE, at +1 (303) 324 4570 or email patric.timmermans@enavate.com. As the leading European player in Payroll and HR, SD Worx provides worldwide services in the areas of payroll, HR, legal support, training, automation, consultancy and outsourcing. It focuses on customer centricity, fully embraces digitisation and is committed to international growth. More than 65,000 small and large organisations worldwide have currently placed their trust in SD Worx and its experience of almost 75 years. The 4,150 employees at SD Worx operate in ten countries: Belgium (HQ), Germany, France, Ireland, Luxembourg, Mauritius, the Netherlands, Austria, the United Kingdom and Switzerland. SD Worx calculates the salaries of some 4.5 million employees and achieved a turnover of €443 million in 2017. SD Worx is co-founder of the Payroll Services Alliance, a global strategic network of leading payroll companies that together provide 32 million payroll calculations.